Born a poor boy in Cleveland, Ohio in 1968, Matthew started playing the blues, and in a matter of years, became a living "blues genius". 350 pounds of nothing but the blues - he is the "Big Boy" of the Blues (Most guitars have only been tested on 250 pounds and below.) 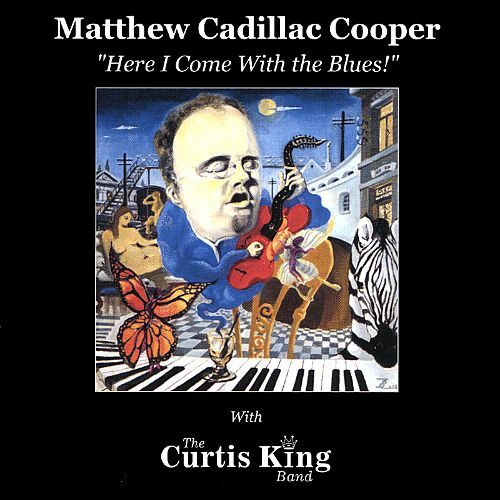 Incredible blues vocals, emotional guitar work, all with a great backing band (The Curtis King Band), and 6 original tracks. Mr. Cooper has worked with such greats as Curtis King, Eric "The Jackhammer", Jonah "Hi Tone" and even Dogbone Wang. When playing live, he makes heads turn and jaws drop. When playing in the studio, his raw talent as a singer and guitar player shine through like magic. 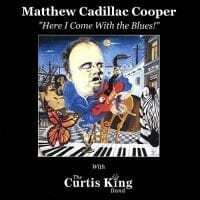 "Clevelanders Matthew 'Cadillac' Cooper and Curtis 'King' Kovach are blazing an R&B trail through Asia. There's a lowdown, nitty-gritty, boogie-woogie, honky-tonk vibe working its mojo from Ho Chi Minh City in Vietnam to Shanghai in China, thanks to two ramblin' blues guitarists from the Rock and Roll Capital of the World."